nero profumo: O'Driù Laurhum: Ungroomed Elegance. Let's start from the name. A pretty brilliant combination of things: Laurhum ----> (L') Aurum (latin word for gold, hence the colour of the bottle). Laurhum is also Laurel + Rhum, which are two of the main elements of this composition. Here's the official list of notes: Amyris Balsamifera, Citrus Reticolata, Vanilla Planifolia, Citrus Aurantinum, Nicotiana Tabacum, Matricaria Chamomilla, Cangara Odorata, Laurus Nobilis, Cinnamomum Zeylanicum. Now for the juice. 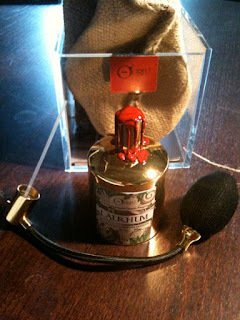 The fragrance strikes as slightly simpler if compared to other deliveries from the house but don't expect anything minimalistic, transparent or light hearted. Laurhum is a bold, viscous/oily potion of extreme beauty and, just like most of the other deliveries by Mr.Pregoni, it needs some wearings to get warm to it. The opening is kinda brutal (as usual) with a blast of laurel juxtaposed to a green citrusy presence and god knows what else. A true to life cigar note breaks in right away and together with amyris add a salty, kinda urinous vibe. Intensely aromatic and sort of pungent in its literal reproduction of a cuban cigar factory and aged rum. Rough, extremely natural and...challenging. Vanilla, the real star here, joins the party and provides, together with cinnamon, some sweetness. The fagrance takes form and morphes into an incredibly elegant and wearable masculine concoction of woody tobacco and top quality vanilla enriched by spices and laurel serving as perfect refinements. An overall boozy vibe preserves Laurhum from becoming overly sweet or affected while a moldy presence provides the typical O'Driù challenging twist. 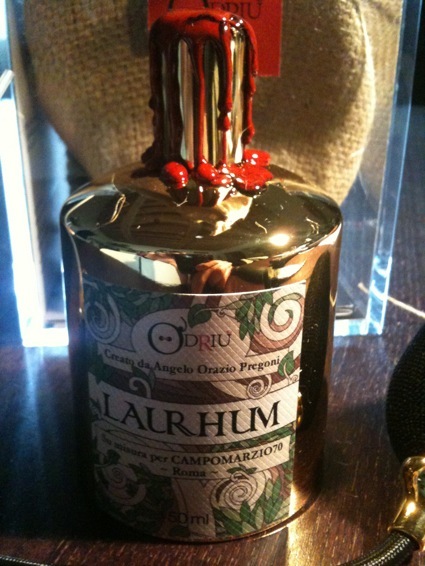 Laurhum is a bespoke fragrance made for Campomarzio70 and released in very limted batches of 33 pieces each. For those who don't know, Campomarzio70 is possibly the best niche shop in Italy. In their three stores located in Rome they carry almost anything available on the niche market including all the main brands plus a huge selection of avant-garde offerings by extremely exclusive high-end houses and uber-niche firms. A mandatory stop for anyone visiting the city. A (minor) word of caution: the juice is colored an intense dark yellow/green and stains paper and fabric almost as olive oil would. Downline: This is Tobacco Vanille for people who actually like fragrances. Once again, O'Driù is not entertainment, it's a lesson.